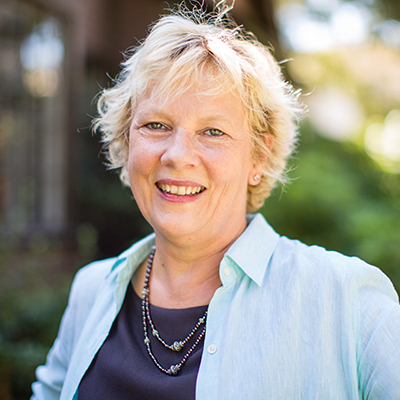 It is with deep sadness that we inform the Fuller community of the passing of our dear colleague, Evelyne Reisacher, on March 30, 2019 after a long battle with cancer. Evelyne was a beloved faculty member in the School of Intercultural Studies serving as associate professor of Islamic studies and intercultural relations. Her dear friend for more than 40 years, Fuller alumna Farida Saidi, was by her side when she died. We give thanks for her life as a joyful witness to the love of Christ for the world. A hallmark of Evelyne’s commitment to world mission was her continuing work as a global missionary to the Muslim world. She managed to balance full-time faculty membership with regular ministry through L’Ami, a ministry among Muslims based in France. Evelyne was also an internationally known missiologist contributing to the ongoing work of the Lausanne Movement, the Urbana Conference of InterVarsity Christian Fellowship, global missionary societies, and mission associations such as the American Society of Missiology and the International Association for Mission Studies. As a scholar Evelyne added new insights to the way we form and maintain relational attachments applying these theories to her concern for our witness as followers of Christ. She was able to integrate the sophisticated work of the social sciences with serious theological reflection to provide a synthesis that was leading the field of Islamic Studies within missiology. Adding to these wonderful assets, Evelyne was a respected teacher among her students and colleagues. Evelyne was active as an evangelical scholar in the work in Muslim-Christian relations, notably as a younger scholar on the Fuller peacemaking project funded by the Department of Justice in the post-9/11 period and in the A Common Word initiative between Muslims, Christians, and Jews launched in 2007. In all her ministry as a missionary to the Muslim world, Evelyne exemplified the very essence of her award-winning book, Joyful Witness in the Muslim World: Sharing the Gospel in Everyday Encounters. “She will always be remembered for her strong belief in and commitment to the practice of hospitality, care, and respect for the Muslim community among us,” said Donna R. Downes, senior associate professor of global leadership. Evelyne Reisacher was the embodiment of the School of Intercultural Studies. The Fuller community is praying for Evelyne’s loved ones during this tragic moment. Please join us in remembering our beloved colleague, mentor, and friend. She will be missed dearly by all who loved her.